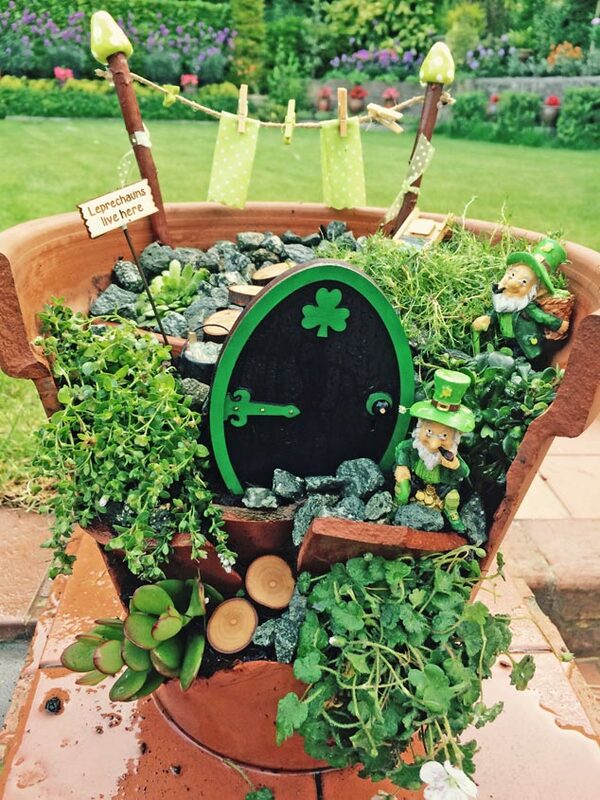 We stumbled across these really cute and mesmerizing ‘fairy gardens’ and thought, what an amazing, simple and unique idea for adding a touch of originality to any garden space! 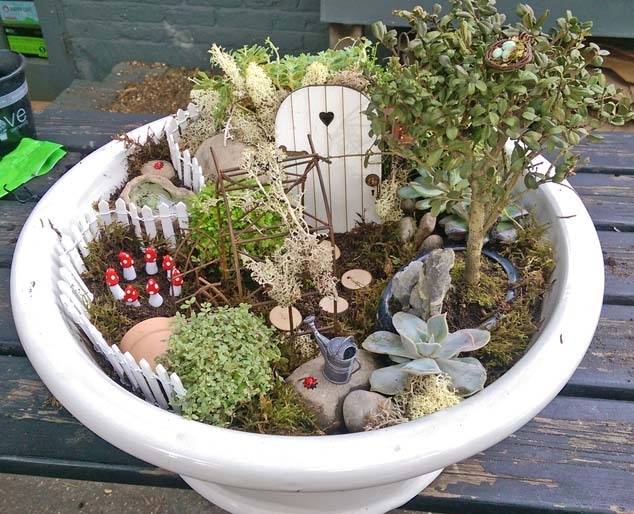 What is a miniature Fairy Garden? 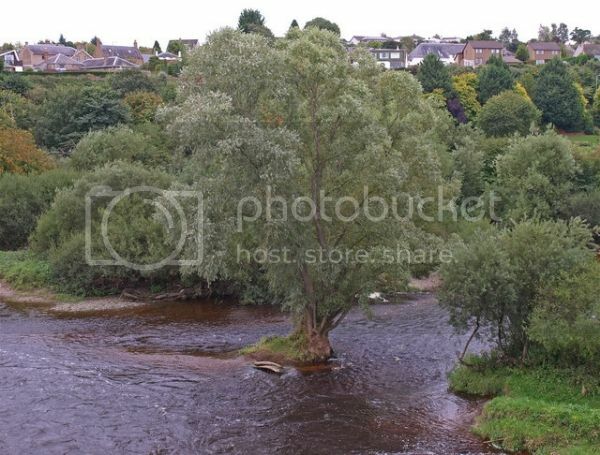 Generally they are built in small planters and placed either indoors or outdoors. They’re filled with mini accessories, ornaments and signs which create a tiny, little garden. 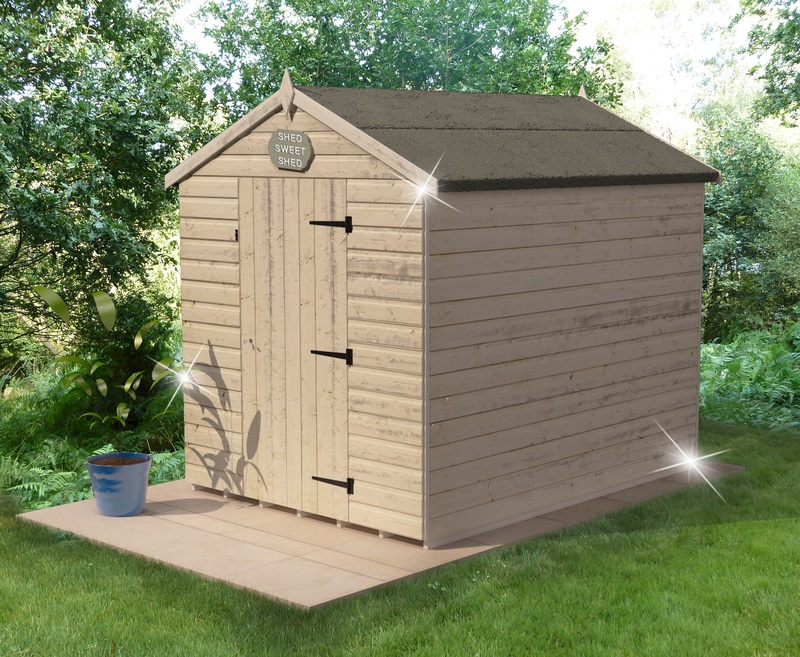 Even though they’re only small we think that they give any garden space a quirky and individual touch! Don’t you? It could also be a fun project to get the little ones involved with. 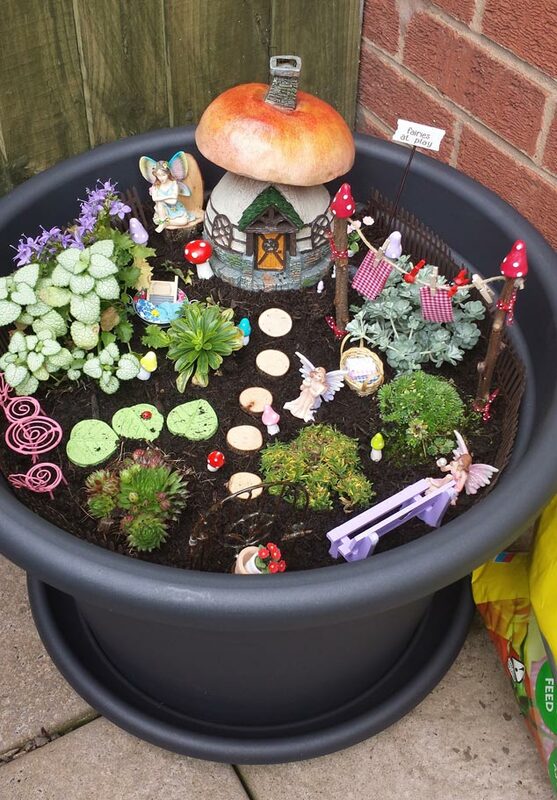 If you’re interested in creating your very own Miniature Fairy Garden then follow our step by step guide! You can create your mini garden in just about any container but the best ones have a large open surface to provide plenty of space for your accessories! Any good quality, peat free, compost is suitable for your mini garden. Make sure all baskets and wooden containers have a protective liner and drainage holes. Fill your container with your compost leaving a small gap at the top. It’s vital that you ensure the compost is patted down very firmly or the furniture will sink. Any small, low growing and compact plant is suitable for this purpose. Be careful to not overflow your planter as you will need space for your accessories. Ready for the fun part? First of all you need to design your Mini Garden before you actually plant anything! 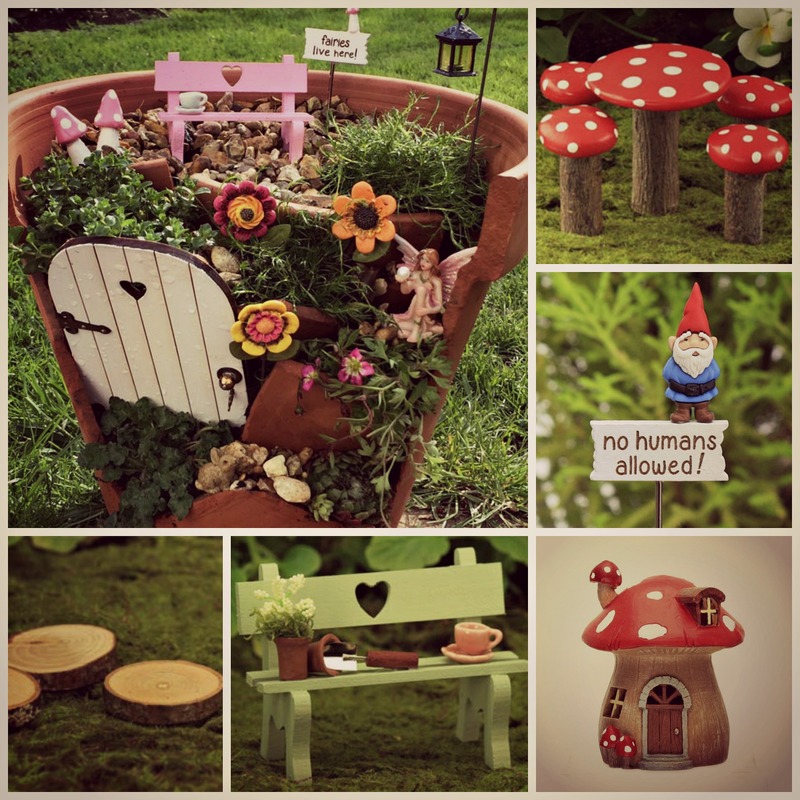 We strongly advise using The Fairy Garden By Jennifer as you will find a huge range of furniture all at a great price! How you design your mini garden is all up to you! It’s the perfect opportunity to get really creative and think outside the box (or planter?). Once your overall design is established you can now start planting! Start by planting your largest plant first! After each plant is positioned pat down and and smooth out the soil so your accessories still have a firm ground to sit on. If there’s then too much compost after planting make sure to remove this so you still have plenty of space! Many of the accessories from The Fairy Garden website tend to come with a stake to make it easier to keep in place. It can also be useful to create a gravel and ‘paved’ area on top of soil as not only will this add to your mini garden look but it will help keep things in place. This can easily be created by using gravel, flat stones, slate, chippings or something similar to that. 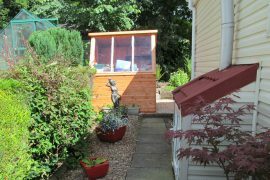 As your mini garden will be outside it could be wise to try and position your container somewhere away from direct sunlight and in preferably a dry and sheltered spot. When watering it’s probably best to do this by hand sprinkling the water rather than a hose, as this could ruin your ornaments! Do you LOVE this idea or know someone that would? 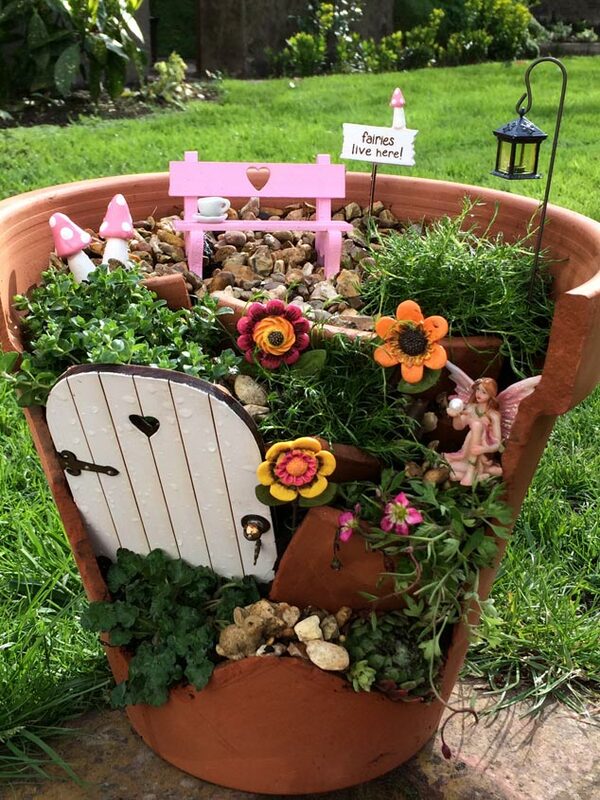 Share your Miniature Fairy Gardens or even just your ideas with us over social media using hashtag #myfairygarden and tagging @TigerSheds or tag us on Facebook! 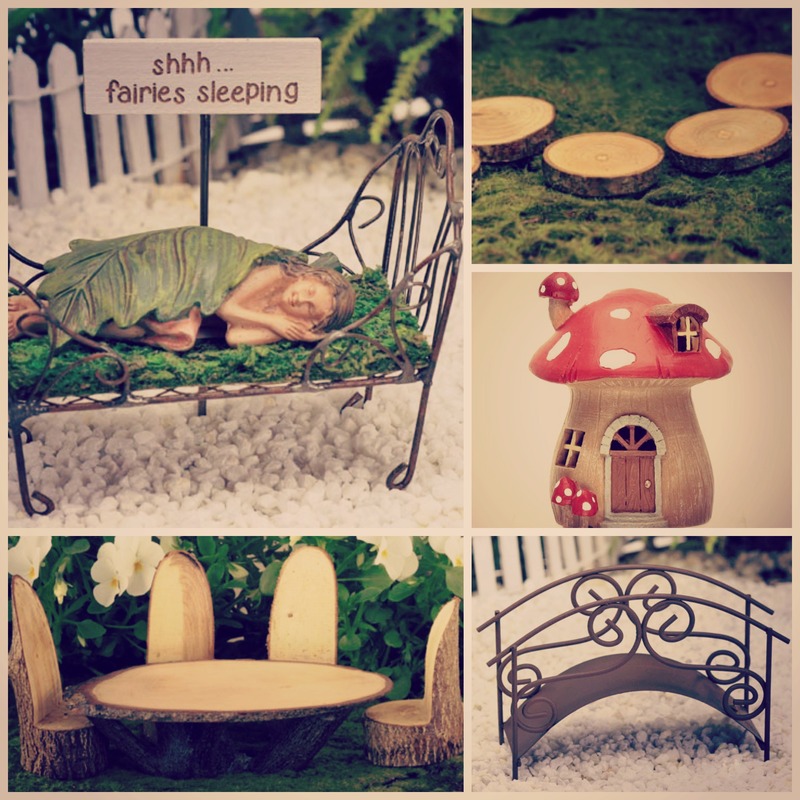 Use promo code TS005 to gain 10% off The Fairy Garden products. Thank you to The Fairy Garden for providing us with the information for us to make the guide and the lovely imagery! We adore your website! Previous article7 Top Tips on how to make the most of your small garden!